Here’s an easy math problem with a challenging solution: The average young adult needs nearly nine hours of sleep per night to ensure physical, mental and emotional well-being. The average college student gets just six-and-a-half hours of sleep per night. In case you’re too tired to do the math, that adds up to 17.5 hours of lost sleep in just one week. Not good. These numbers are the result of research by Sue Adams, professor of human development and family studies in the College of Health Sciences, and several colleagues. Other researchers have found that 25 percent of college students get fewer than six hours of sleep per night. If that statistic holds true at URI, nearly 3,700 undergraduates are stumbling sleepily through their days. A 2016 study by Adams’ team indicates that the problem is getting worse, thanks in large part to mobile phones. Students’ compulsive cell phone use, triggered largely by FOMO (Fear of Missing Out), is a major sleep stealer, the researchers reported. “Students are sleep deprived in part due to their phones and not wanting to miss important calls or texts from friends or parents. They fear that someone will need them and they won’t be available,” said Adams, who founded URI’s Sleep Research Lab. 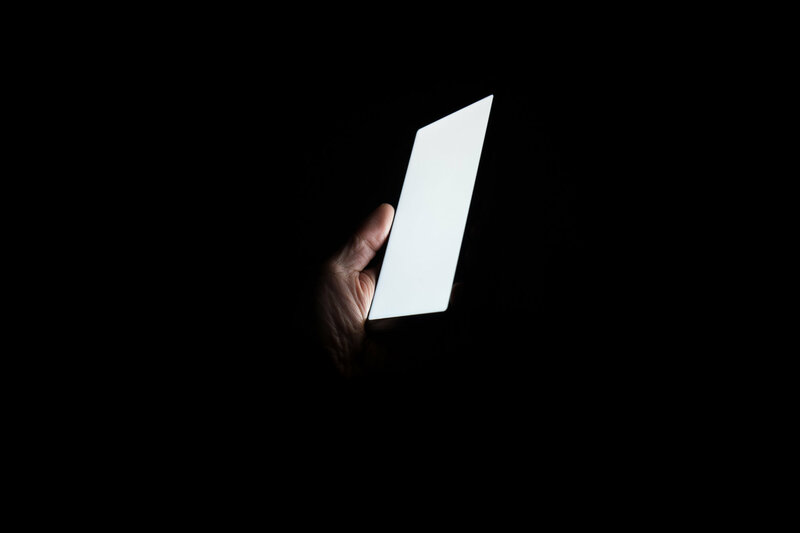 Study participants reported sleeping with cell phones under their pillows or otherwise within reach and responding to every jingle or jiggle. Such scenarios lead to the phenomenon of “sleep texting,” in which barely alert students respond to text messages. Adams said weary students report dozing off in class or struggling to stay awake to study. “It’s normal, even a badge of courage, for this population to be sleep deprived,” said Warren Schwartz, a psychotherapist in URI’s Counseling Center who employs Cognitive Behavioral Therapy for insomnia, a well-tested, highly effective approach. Adequate sleep is necessary for neurons in your brain—and muscles and tissues throughout your body—to repair themselves. A good night’s sleep allows you to complete rigorous classwork, take part in sports or exercise, and remain resilient in the face of the emotional ups and downs of college life. Sleep deprivation also can have lasting consequences. It diminishes cognitive functioning, raises the risk of depression and anxiety, increases risk-taking behaviors, and affects weight and appetite. Research by Kathleen Melanson, professor of nutrition sciences in the College of Health Sciences and director of the Energy Balance Laboratory, have explored the link between sleep deprivation and weight gain. “We (and others) have found that sleep deprivation can shift hormones that regulate appetite, how your body metabolizes food and balances energy. This, in turn, can lead to excess calorie intake, along with dietary choices that are higher in added sugars, sodium and fats,” Melanson said. Although a person expends more calories when awake than during sleep, someone who is sleep deprived tends to take in excess calories and has less tolerance for exercise. “The caloric overage is usually stored as fat. Indeed, studies have shown that sleep-deprived individuals often have higher BMI and body fat,” she said. Not surprisingly, lack of sleep can impact academic performance. 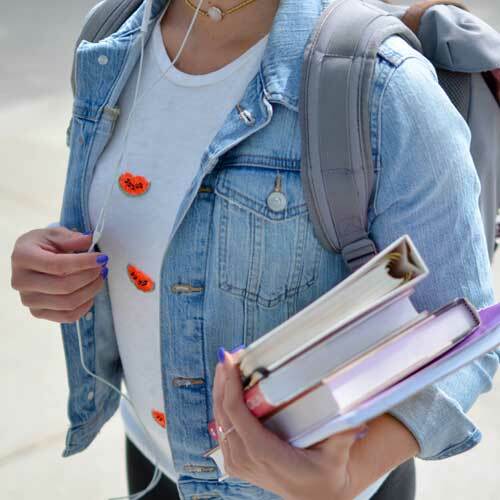 Schwartz said research published in 2010 has shown that students who report poor sleep quality have lower GPAs and leads to the reasonable conclusion that students with poor sleep quality may be more likely to drop out of school than their well-rested peers. Some barriers to a good night’s sleep can come from the college environment—a noisy dorm, a roommate who keeps a light on. But insomnia on college campuses is often voluntary, given the pressure to forgo sleep and socialize in person with new friends or electronically with old ones. And once your body gets used to odd hours, your sleep schedule is disrupted and rest is hard to come by. The Counseling Center provides confidential support for the personal, emotional, and academic well-being of our students. Services include individual counseling, group counseling, and referrals for assessments. Cognitive Behavioral Therapy can help ease insomnia, the most common sleep disorder, in a matter of weeks, Schwartz said. The treatment begins, perhaps counter-intuitively, by restricting sleep. “People with insomnia spend too much time in bed trying to sleep. They are trying to control something they can’t control. Sleep will come when your body is ready,” he said. Schwartz restricts students to about five hours of sleep in order to build “sleep drive” and to break the cycle and association between the bed and lying awake. The sleep restriction can be tweaked depending on how the student responds, and if it is successful, Schwartz increases the sleep quota slowly over a few weeks. Finally, he works with students to improve so-called sleep hygiene, avoiding alcohol, caffeine, and heavy meals at night, winding down before bedtime, and exercising during the day. Quality sleep also ushers you into dreamland, which has its own benefits. Dreams, even nightmares, enable you to make sense of the waking world, Adams said. “It’s your mind helping you prepare. It seems scary in the moment, but it’s something really helpful and protective,” she explained. The College of Health Sciences offers majors and programs designed to make a positive, lasting impact on the health and well-being of people of all ages. Research featured in a recent article in The Atlantic explained how your brain actually solves problems and creates “Eureka!” moments while you snooze, which it can’t do when you are awake. Your brain needs to cycle through sleep stages to work out seemingly dissimilar patterns, make connections between neurons and tap into creative problem-solving. Need proof? Mary Shelley conceived of “Frankenstein” in her sleep; “Dr. Jekyll and Mr. Hyde” came to life while Robert Louis Stevenson was sound asleep; Albert Einstein literally dreamed of the theory of relativity. *Murdock, K.K., Adams, S.K., Crichlow-Ball, C., Horissian, M. & Roberts, M. (2017, online). 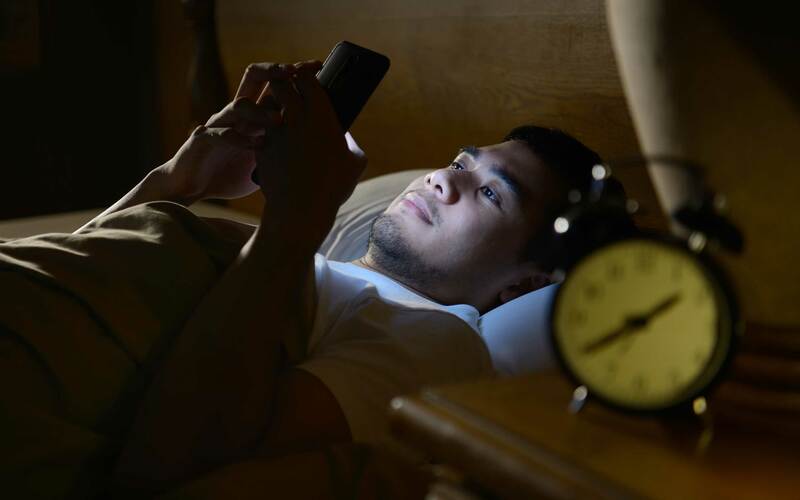 Nighttime notifications and compulsivity illuminate the link between emerging adults’ cellphone use and sleep-related problems.Psychology of Popular Media Culture. **Adams, S.K. & Kisler, T. (2013). Sleep quality as a mediator between technology-related sleep quality, depression, and anxiety. Cyberpsychology, Behavior, and Social Networking.